BE VISIBLE, VOCAL, VIGILANT, AND A PART OF A POWERFUL FORCE FOR CHANGE! 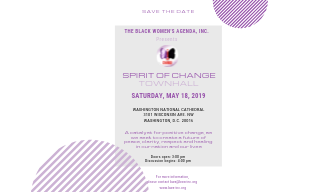 Join The Black Women’s Agenda, Inc. (BWA) on Saturday, May 18, 2019 at the Washington National Cathedral in Washington, D.C. for The Spirit of Change Town Hall. Moderated by ABC News Anchor and Correspondent T.J. Holmes, The Spirit of Change Town Hall is bringing together a multi-cultural audience with some of our nation’s greatest spiritual leaders, public figures and subject matter experts in an effort to find common ground regarding some of the most prevalent political and social issues of our time. In a nation that is deeply divided, the distinguished panelists will give their perspective and expertise on healthcare, education, immigration, justice reform, gun laws, and so much more, and the impact these issues are having on all American families. 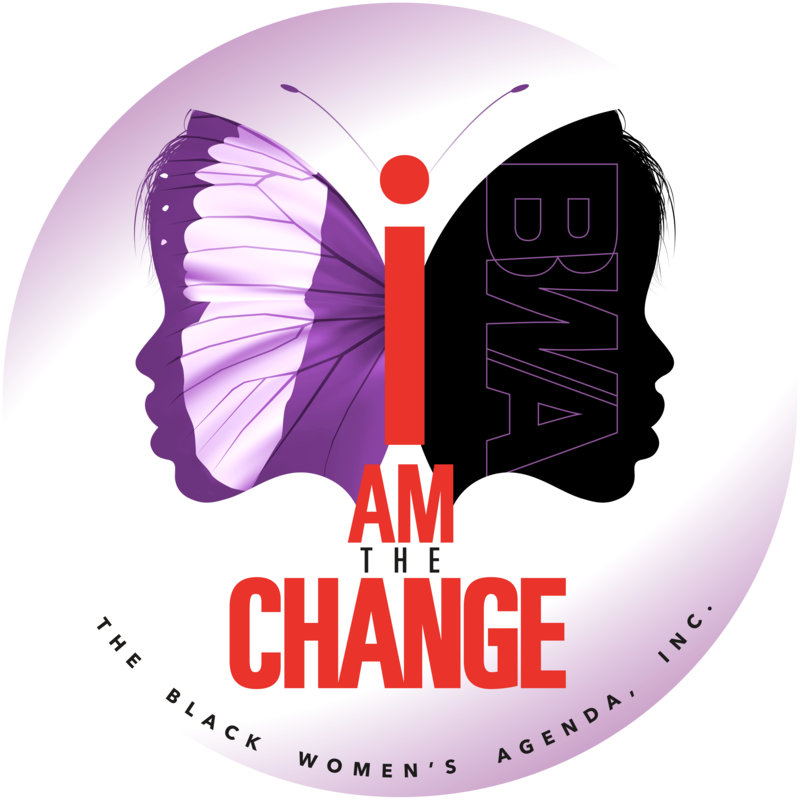 This April, join The Black Women’s Agenda, Inc. in celebrating National Minority Health Month. This year, the U.S. Department of Health and Human Services Office of Minority Health (OMH) will join partners in raising awareness about the important role an active lifestyle plays in keeping us healthy. Their theme for the 2019 observance is Active & Healthy, which will “allow OMH and minority health advocates throughout the nation to emphasize the health benefits of incorporating even small amounts of moderate-to-vigorous physical activity into our schedules. 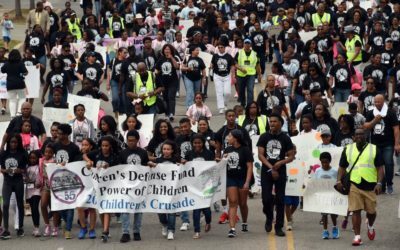 SPOTLIGHT FEATURE ON JACK AND JILL OF AMERICA, INC.
America, Inc. – an organization that’s mission is as relevant today as it was some 80 years ago.